Eyelid Lift in Mexico, also known as Blepharoplasty, is a procedure designed to remove excess dry skin in the upper eyelid and/or the lower eyelid giving your face a more youthful appearance. At times, this excess skin is also accompanied by the presence of fat pads or fat pockets. Alternatively, there are cases where there are only fat pockets and no excess skin. Eyelid Lift in Mexico, presented by Reveert, aims to correct any or all of the above conditions in the upper and lower eyelids, including the drooping portions that can make individuals look tired or sad, ultimately giving a rejuvenated and more radiant look to the entire face. What should I expect from my Eyelid Lift surgery in Mexico? During your eyelid lift in Mexico consultation session, plastic surgeons at Reveert will evaluate your face to determine whether the problem is associated to the excess skin and/or fat pockets on the upper and lower eyelids or if there are additional problems with the brow area. As a routine medical check-up, you will undergo medical tests before you eyelid lift surgery in Mexico to determine your health status. These examinations will include lab tests and a preoperative cardiac evaluation. Our plastic surgeons will take before photos of your face and eyelids to best evaluate the areas of concern. They will further advise on the recommended procedures, details about your eyelid lift Mexico, including incisions sites, risks of Eyelid Lift Mexico, pre-operative and post-operative care, as well as recovery time. Following the consultation with your plastic surgeon, we will schedule your surgery in Mexico at your earliest convenience and you will be given the necessary instructions to follow before the day of your surgery. You will be given medical treatment, analgesics, anti-inflammatory and antibiotics, as directed by your surgeon. Your first follow-up appointment will be scheduled. Typically, stitches are removed within 4-7 days. You should not be exposed to sunlight or wear contact lenses. As with any surgery, there are risks which will be evaluated and discussed in the consultation, some of which are important because of your own medical history. Some risks or complications of Blepharoplasty surgery include asymmetry of scars, eyelid edema and double or blurred vision. How long will Eyelid Lift surgery in Mexico take? Eyelid lift surgery in Mexico typically lasts 3 hours. 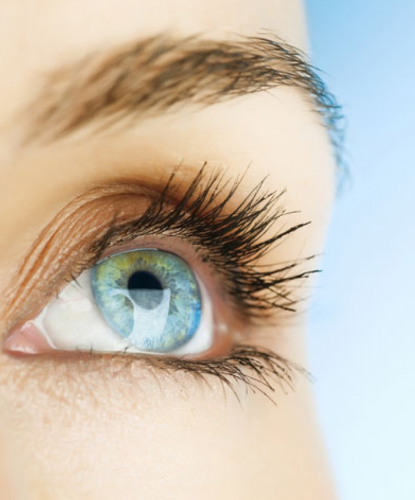 What type of anesthesia is used during Eyelid Lift surgery in Mexico? The type of anesthesia used during eyelid lift surgery in Mexico is local anesthesia and light sedation typically known as “twilight” sedation. This is an outpatient procedure and does not require hospitalization. You will remain in the hospital until the entire effects from sedation have worn off, which is anywhere between 2 and 4 hours. The first follow up appointment will be scheduled before you leave the hospital. How long does it take to recover from Eyelid Lift in Mexico? Recovering from eyelid lift surgery in Mexico is rapid. In the first week of eyelid lift surgery, you will most likely experience some eyelid edema and bruising, which is common at this stage. During the first few days, it is strongly recommended to limit your physical activity to avoid increased inflammation. Patients can typically continue with their normal activity at the end of 1 week of eyelid lift surgery with the consent of your plastic surgeon. By week 3, bruising and swelling will be gone as you start to observe the rewarding and gratifying results of your eyelid lift procedure. Will my Eyelid Lift in Mexico incisions be visible? Our plastic surgeons in Reveert are known for their scrupulous, non-invasive approach in their use of incisions. When performing eyelid lift surgery Mexico, incisions are seamlessly made in the natural crease of the skin which over time fades in their entirety. In nearly 2 months, they will be virtually invisible.